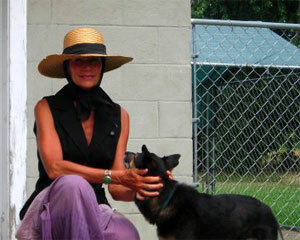 Our Facebook friend Jacquelyn Palmer loves to share her homesteading world. Chemically sensitive, she’s been living a non-toxic lifestyle for over 10 years now and she and her boyfriend John live life to the fullest. 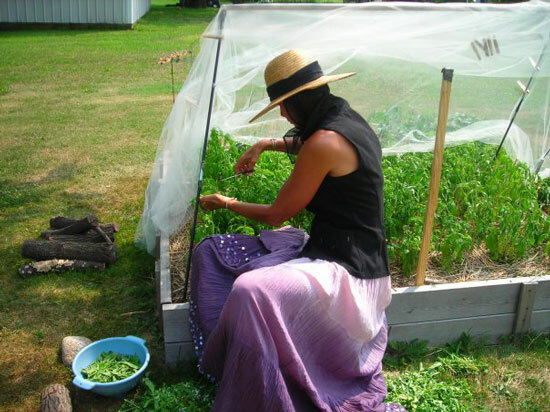 When she’s not harvesting fresh grown veggies and herbs from her garden, you can find her tending the chickens, reading, practicing yoga, camping out, or kayaking on the lake near her home. She shares the journey from garden to plate her homegrown basil recently took, below. Harvesting basil leaves and pruning off the flowers. 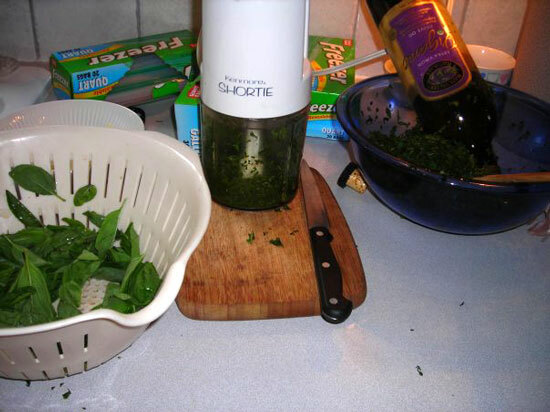 The making of the pesto. She froze some and used the rest for dinner. To make this pesto, Jacquelyn chopped up the basil then added olive oil, lemon juice, garlic, hot peppers, cashews and/or pine nuts, grated cheese, and sea salt. Yum! 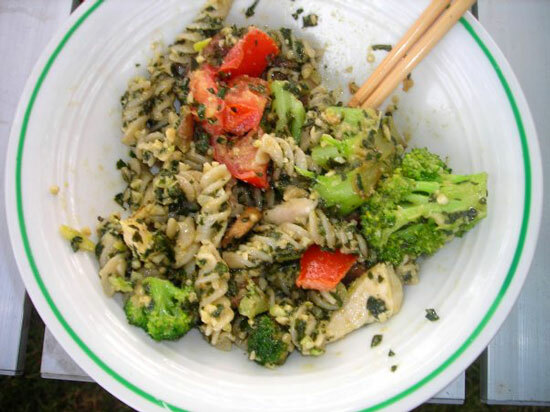 Jacquelyn’s dinner: basil pesto tossed with brown rice noodles, brocoli, tomatoes, mushrooms, and chicken. She makes it look so easy, doesn’t she?! I haven’t been able to tolerate basil for a few years now…but this recipe makes me want to hurry up and try it again. The ingredients are so fresh, so pure, so yum. Thanks, Jacki, for letting us share your harvest with our readers! !